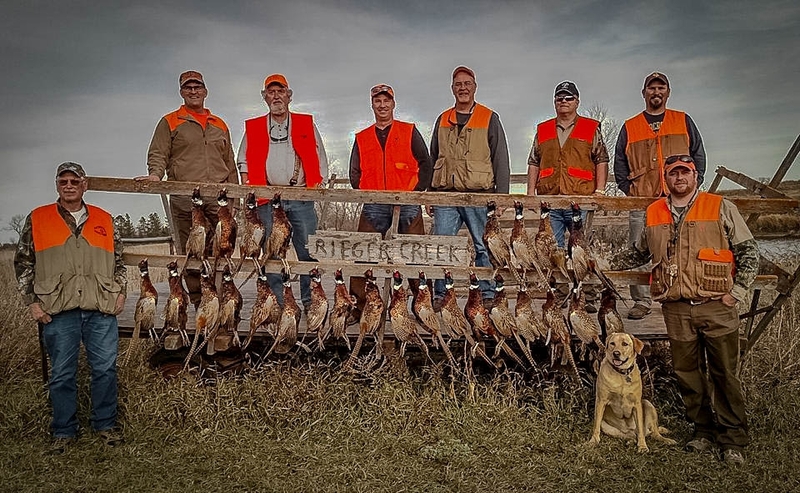 Rieger Creek Lodge privately owns and operates several thousand acres of prime pheasant hunting land in North Central South Dakota. Combine the stewardship of the Sawinsky family with high pheasant bird counts and the creation of an exceptional pheasant hunting experience has begun. 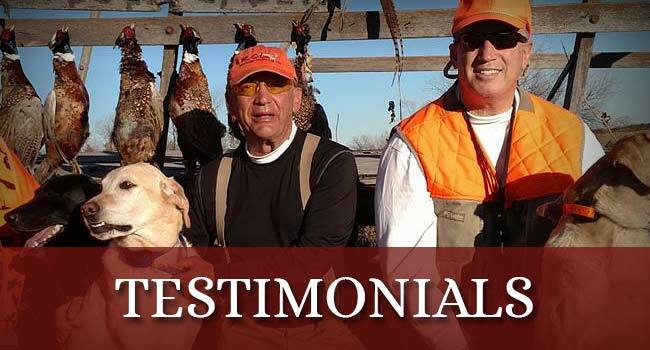 Exclusive South Dakota pheasant hunts are Rieger Creek Lodge's specialty. When your group books with us, you become our ONLY priority. 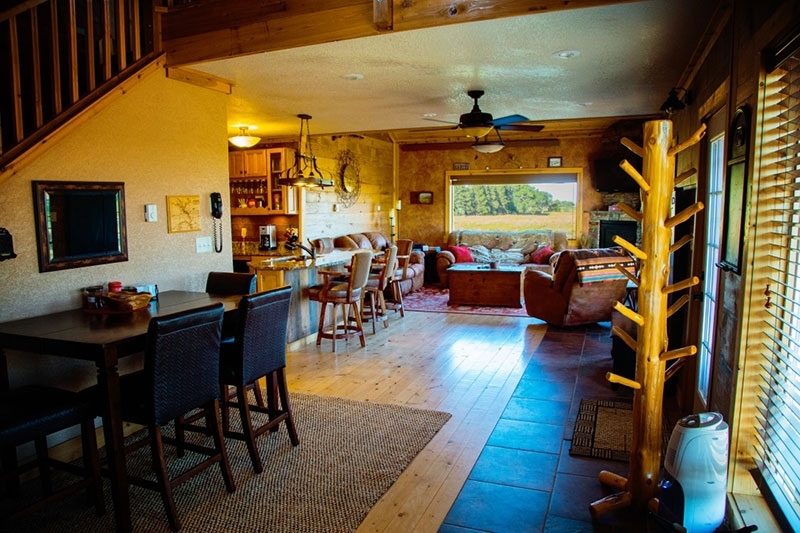 Your group enjoys a customized pheasant hunt in a relaxed setting and full run of the lodge. Your group is our only group! This is the best South Dakota pheasant hunt you will find. Once the hunt is complete, you will find relaxation at the Rieger Creek Lodge. Enjoy the warmth of a fire and enjoy the view out the large windows overlooking the creek and some of the pheasant hunting lands. While staying at one of the lodge, guests can enjoy target practice with clay pigeons, two level deck for wildlife viewing, wireless internet, satellite TV, a fully equipped kitchen, Weber grill and much much more. 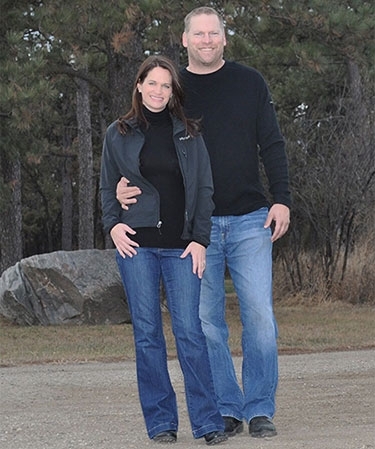 This is a luxury hunting lodge with many amenities. 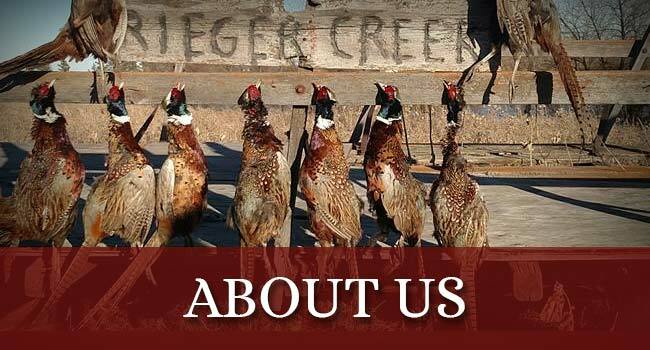 Regardless of your pheasant hunting experience, Rieger Creek Lodge welcomes you. 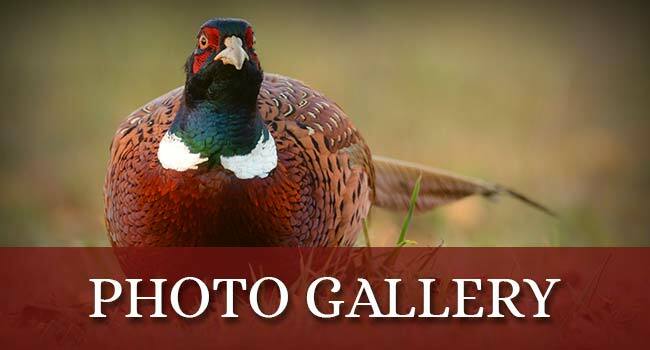 Our experienced South Dakota pheasant hunting guides are able to customize the hunt to your skill level and will help you as needed. Whether it is your first time in the field hunting pheasants or your hundredth time, you will have a hunting experience that is customized to your abilities. Hunters getting their limit of birds is the rule at South Dakota Rieger Creek Lodge, not the exception. Whether you are a corporate group or a get together of good friends, you will experience a great, authentic South Dakota hunt. "Come hunt with us, you will not be disappointed!"